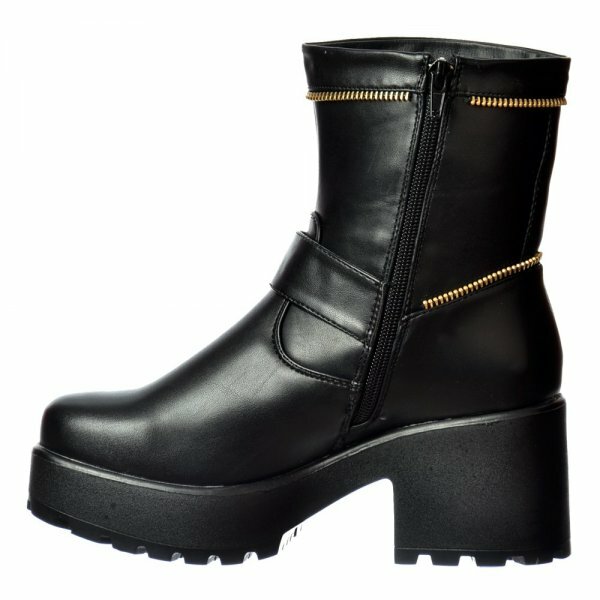 Make a Statement in These Edgy Biker Style Ankle Boots With Cleated Soles, Mid Block Heel and Stunning Black PU Finish. 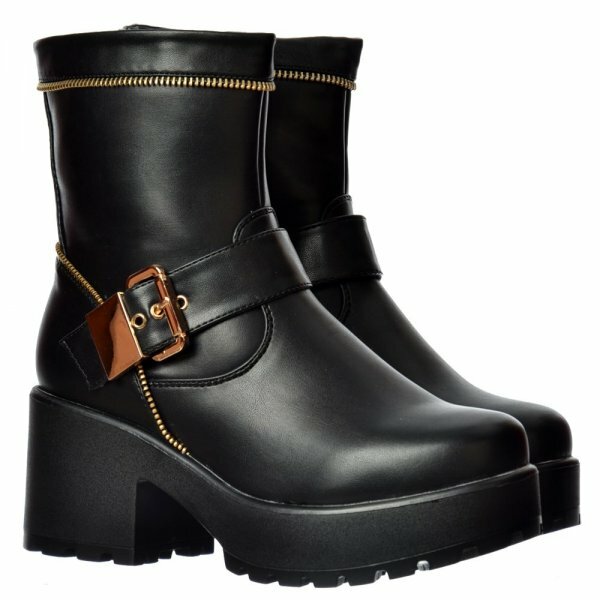 This Wardrobe Staple Enjoys a Gold Trim Zip Feature to The Top Edge and Heel of The Boot Complimented By An Over Sized Gold Buckle With Stitching to The Front For An Easy Casual to Club Transformation. 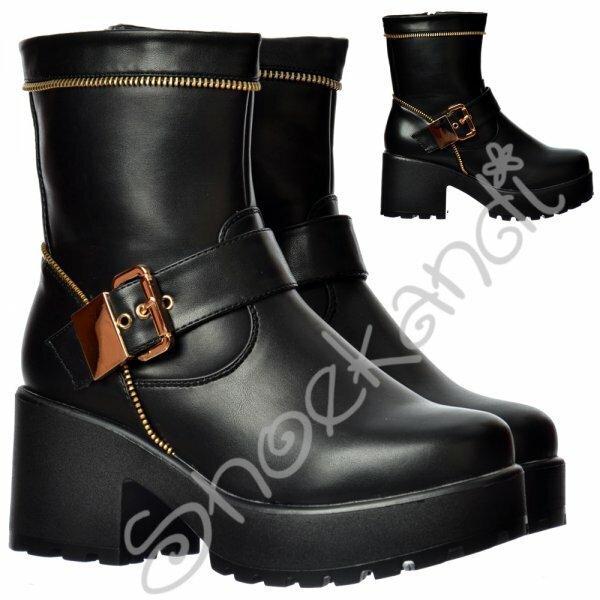 Also Featuring A Chunky 3 inch Heel With 1.25 Inch Platform For a Bit of Extra Height Whilst Keeping You Comfy. 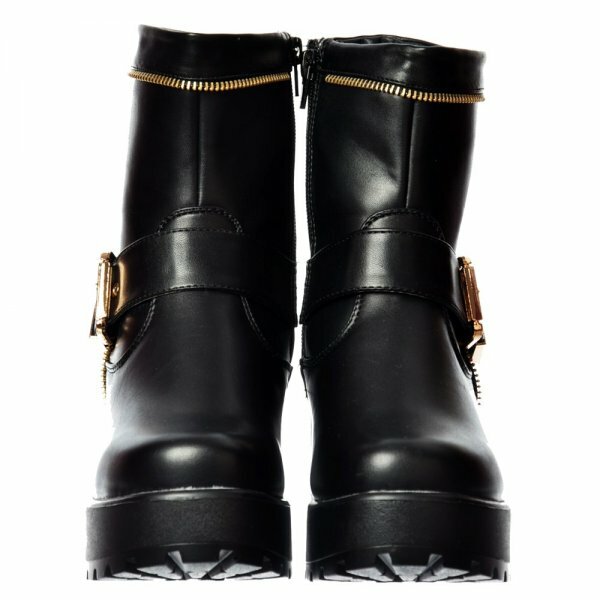 Inner Zip to Allow for Easy On / Off.